We are less than a week away from the release of Adele‘s third studio album 25, and we’re still trying to recover from the epic debut of her new single “Hello”. No matter how many times we hear the gut-wrenching track, it still leaves our emotions in shambles. The soulful singer’s vocals are so powerful and poignant, that other artists don’t often cover her songs. Let’s just be honest, no one can really sing Adele like Adele. 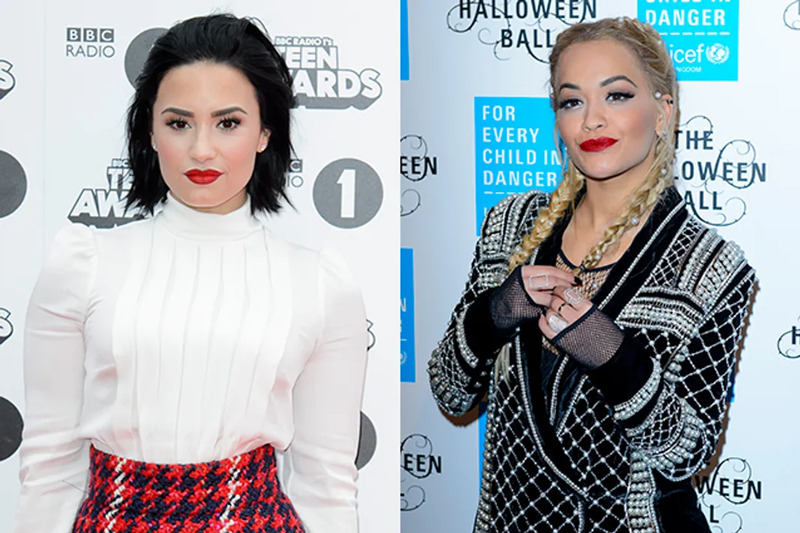 However, at Seattle’s Fall Ball this past weekend, Demi Lovato took on “Hello”, to stunning results. The 23-year old pop star paid tribute to the British vocalist with a powerful rendition of the song that left many in the crowd speechless. Without trying to sound like Adele, Lovato make the song her own, and the results were incredible. Lovato has been very open about being the most authentic version of herself, and this performance just proves that she’s on the right track. Demi Lovato isn’t the only pop singer to take on “Hello”. British singer Rita Ora also recently covered the song, though it was very different from Adele or even Lovato’s version. During a round of mini-karaoke at Captial FM radio, Ora and drum-and-bass duo Sigma, joyfully sang a few lines from Drake‘s megahit “Hotline Bling”. However, when “Hello” came on, all three looked a bit apprehensive about belting out the track. Who could blame them really? Adele has a voice that is presently nearly unrivaled in the music industry. Though Ora has a perfectly nice voice, she decided to sing along to the song’s melody in a made-up language instead of going for a traditional cover. Since she hit all of the notes, we would have loved it if Ora had been as brave as Demi Lovato, and really taken on the hit single. Still, her cover was really good. If the opportunity every presented itself, would you ever be brave enough to cover something from Adele’s musical catalog? We’d probably do exactly what Rita Ora did.